Dedicated to preserving Alaska’s farmlands, statewide. Based in Dillingham, they work in watersheds located in the remote Bristol Bay region of Southwest Alaska. Based in Anchorage, they work to protect Southcentral Alaska land and waterways. Located in Fairbanks, they work with landowners to safeguard the character of the land and natural resources in the Fairbanks area. Based in Homer and working to preserve land for public benefit on the Kenai Peninsula. 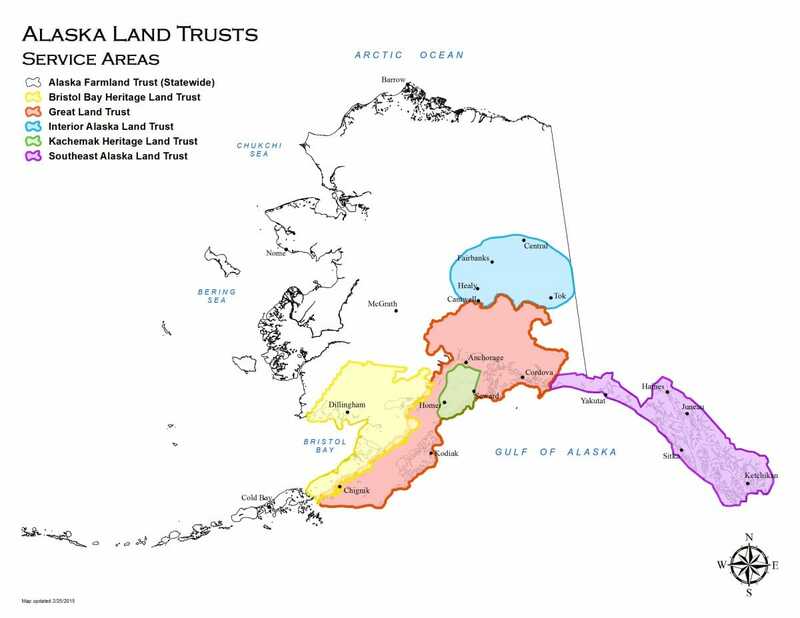 Based out of Juneau, we work to preserve lands in Southeast Alaska.